Remaining true to his beliefs, Lecrae is an artist that redefines mainstream popular culture. Thematically, one can find inspiration, faith and honesty in his music. But it’s more than that and yet it is quite transparent. If Oscar Wilde was correct when he said, “Most people are other people, their thoughts are someone else’s opinions, their lives a mimicry, their passions a quotation,” it’s simple to understand the easy attraction to Lecrae. In a sea of indulgent music, he’s swimming against the tide embracing all the things that make him the man he is, including his faith. And at the heart of it all, Lecrae is pleased to share the secret to his success. He explains, “I just have to have integrity and be true to who I am and what I believe in. Music doesn’t need to be categorized. It just needs to be good.” Now on the cusp of his seventh studio release, Lecrae is at the climactic crossroad of his career. For the past few years, Lecrae has been the epitome of transcendence. What started as a practical approach to mentoring the youth population at a local juvenile detention center has led to a worldwide mission. As an artist, Lecrae has nearly reached the pinnacle of success. He’s released six bestselling albums and two mixtapes, won a Grammy award in the process and landed a global distribution deal with Red Distribution/Sony Music for the record label he co-owns, Reach Records. In 2010, Lecrae released the critically acclaimed album Rehab. It debuted in the Top 20 on the coveted Billboard Top 200 Album Chart. By 2011, Lecrae released a follow-up album, Gravity, scoring the #1 pole position atop the Rap Album and Independent Album charts and debuting at #3 on the Billboard Top 200. He’s since performed at the BET Hip Hop Awards, contributed to Statik Selektah’s mixtape and collaborated with a litany of hip-hop veterans and producers. In between albums, Lecrae produced and released Church Clothes, his own mixtape, hosted by radio legend Don Cannon. It featured production by Boi-1da, 9th Wonder, S-1 and Street Symphony, an indication that Lecrae’s positive message has been well received by his contemporaries. In fact, the mixtape earned a double platinum rating and debuted at #10 on iTunes. As a result of his musical growth, Lecrae was invited to join the legendary touring hip-hop festival, “Rock the Bells Tour,” in 2013. He united with a lineup of hip-hop legends Wu-Tang Clan, Rakim and Common and fan favorites Kendrick Lamar, J.Cole and Juicy J. He then released, Church Clothes 2, the follow-up to his massively successful first mixtape. Again hosted by Don Cannon and executive produced by Street Symphony, it features collaborations with B.o.B., Houston native Paul Wall, Novel, Kevin Ross, Crystal Nicole, King Mez and label mates Derek Minor and Tedashii. Guest production courtesy of Grammy-award winning producers Boi-1da, David Banner, ThaInnaCircle, Dirty Rice and Tyshane round out the mixtape’s collaborators. Recently Lecrae co-headlined the highest selling tour in the country, “Winter Jam.” According to Pollstar, “Winter Jam” sold over 557,000 tickets making it the #1 tour in the country beating major tours by Beyoncé, Justin Timberlake, Disney on Ice and Elton John. Touring in front of a half million fans gives Lecrae quite the voice of a generation. But Lecrae didn’t stop there. Lecrae’s personal friendships with athletes such as Jeremy Lin and Bubba Watson and many others is a testament to his philosophy and belief in positively influencing the influential. With great coverage in Time Magazine, Entertainment Weekly, XXL Magazine, Vibe Magazine and a Huffington Post Magazine cover, Lecrae is accomplishing his humble goal realized back when performing for juveniles at the detention center. He is currently recording his seventh studio album, titled Anomaly, which is scheduled for release this September 9th. What words come to mind when you think about the Bible? power to change our present and shape our future. Although a parent’s role in their children’s learning evolves as kids grow, one thing remains constant: we are our children’s learning models. Our attitudes about education can inspire theirs and show them how to take charge of their own educational journey. Be a role model for learning. In the early years, parents are their children’s first teachers — exploring nature, reading together, cooking together, and counting together. When a young child begins formal school, the parent’s job is to show him how school can extend the learning you began together at home, and how exciting and meaningful this learning can be. As preschoolers grow into school age kids, parents become their children’s learning coaches. Through guidance and reminders, parents help their kids organize their time and support their desires to learn new things in and out of school. Pay attention to what your child loves. “One of the most important things a parent can do is notice her child. Is he a talker or is he shy? Find out what interests him and help him explore it. Let your child show you the way he likes to learn,” recommends Dalton Miller-Jones, Ph.D. Tune into how your child learns. Many children use a combination of modalities to study and learn. Some learn visually through making and seeing pictures, others through tactile experiences, like building block towers and working with clay. Still others are auditory learners who pay most attention to what they hear. And they may not learn the same way their siblings (or you) do. By paying attention to how your child learns, you may be able to pique his interest and explain tough topics by drawing pictures together, creating charts, building models, singing songs and even making up rhymes. Connect what your child learns to everyday life. Make learning part of your child’s everyday experience, especially when it comes out of your child’s natural questions. When you cook together, do measuring math. When you drive in the car, count license plates and talk about the states. When you turn on the blender, explore how it works together. When your child studies the weather, talk about why it was so hot at the beach. Have give-and-take conversations, listening to your child’s ideas instead of pouring information into their heads. Connect what your child learns to the world. Find age-appropriate ways to help your older child connect his school learning to world events. Start by asking questions. For example, ask a second-grader if she knows about a recent event, and what’s she heard. Then ask what she could do to help (such as sending supplies to hurricane victims). You might ask a younger child if he’s heard about anything the news, and find out what he knows. This will help your child become a caring learner. Don’t over-schedule your child. While you may want to supplement school with outside activities, be judicious about how much you let or urge your child to do. Kids need downtime as much as they may need to pursue extra-curricular activities. “If a child has homework and organized sports and a music lesson and is part of a youth group in church or synagogue, it can quickly become a joyless race from one thing to another. Therefore, monitor your child to see that he is truly enjoying what he is doing. If he isn’t, cut something off the schedule,” advises Michael Thompson, Ph.D. Learn something new yourself. Learning something new yourself is a great way to model the learning process for your child. Take up a new language or craft, or read about an unfamiliar topic. Show your child what you are learning and how you may be struggling. You’ll gain a better understanding of what your child is going through and your child may learn study skills by watching you study. You might even establish a joint study time. Q What is Fusion? Fusion offers a loving and accepting environment geared for Middle School Students Grades 6-8. We have events, weekly meetings, and exist to Intentionally Engage Middle School Students by leading them into a growing relationship with Jesus Christ. Fusion happens when two elements become a whole new element. As the elements of the Natural and Supernatural collide in the power of Jesus, a NEW CREATION is formed! Q What do Middle School Students do for Dinner Wednesdays? Oakwood offers a complete meal in the Student Worship Center between 5:15pm and 6:15pm. Special Wednesdays like All Access Nights and Fuze Nights offer free pizza around 6pm. Q When and Where does Fusion Meet? Fusion Meets Sundays 9:15am in the Student Worship Center (SWC) and begins Wednesdays 6:30pm in the Middle School Kickstart Room. We are blessed to live in a country where we have the freedom to go before the Father on behalf of our leaders in school, in our local government, as well as our state and national government. I was also blessed to partner with the Canyon Middle School Fellowship of Christian Athletes and see Middle School students share scripture and testimonies about how God has impacted them. It is inspiring to hear sixth, seventh, and eighth grade students go before the Father in a group setting and express their hearts in prayer. 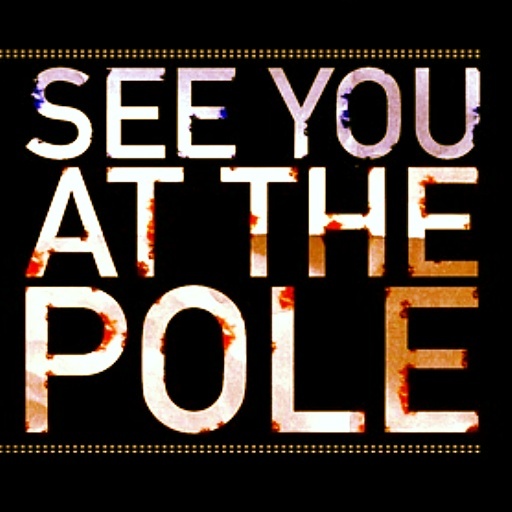 Just last week a group of youth pastors gathered and asked if See You At The Pole was something that still goes on. Truth be told, this movement started in 1990 by students simply gathering to pray for leaders in the nation and schools. 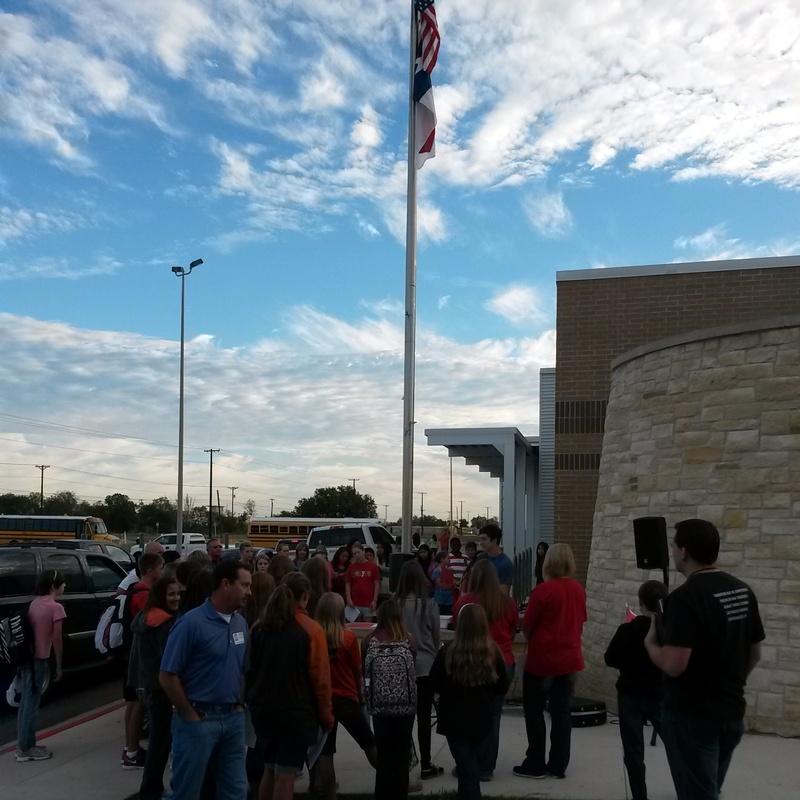 Most of us in youth leadership have experienced See You At The Pole one way or another, and we see that it may be more tradition than movement-like at this point. WHAT IS MOVING HOWEVER, is the continual work of Jesus Christ on campus each week. Even if a gathering around the pole stops happening, we have seen students step up and lead out in FCA groups and start Bible Studies before school. Oakwood High School Student, Aspen Whitlock, the President of the Canyon High School FCA, led worship this morning and was excited to help invest in middle school students. We are truly blessed to see God move here at Oakwood and on campus! As we are praying for our Schools this week, we will be challenging our Middle School Students to take God’s Word to school in the form of THE LIFEBOOK. Take this opportunity to encourage your Middle School Student to take a bold step by sharing the Lifebook. GOD’S WORD IN A SMALL, INTERACTIVE BOOK THAT STUDENTS LOVE TO HAND OUT. The Life Book contains a short recap of the Old Testament, the entire Gospel of John (ESV), scriptural answers to issues teens face, and an opportunity to trust Jesus Christ as Lord and Savior. Prayer is priority when it comes to campus ministry and outreach. Students, youth leaders, parents, everyone can get involved. A team of praying people will have a significant influence at your school. Below are specific ways to pray. for the safety of the students and faculty at the school. that Christian students will be strengthened in their faith and confidence in Christ, and serve as campus missionaries. that students who have emotional, physical or family needs will be ministered to by the Christians at school. that everyone on campus would have a chance to hear the gospel and clearly understand how it relates to them personally. that students will come to know Christ personally. for God’s blessing on ministries and clubs at the school and Christ will be glorified. School boards, principals, teachers and counselors have great responsibility, and are in key positions of influence. that educators at each school will experience the love and concern of Christians. that educators would come to know Christ personally. that God would give wisdom to the administrators, teachers, counselors, school board members and superintendent of the school district. that all staff, teacher assistants, cooks, bus drivers and maintenance personnel would be encouraged in their work. Youth leaders that represent churches and Christian organizations and parents are vital to ministry at local schools. that youth leaders and parents from churches and organizations will be encouraged and empowered by God’s Spirit to reach out to schools and students. that students and school educators will experience the concern of Christian youth leaders and parents. that students and educators will come to know Christ personally through the witness of youth leaders and parents. that youth leaders will be effective and fruitful in all the good work they do with youth. that youth leaders, churches and organizations will unite and support one another as they reach students.